But they're just prototypes for now. In these heady days of headphone-free smartphones, there's money to be made in the wireless-headphone game. Sony revealed plenty of upgraded wireless speakers and headphones at its CES press event today, but there some prototype teasers too. The company had some tiny wireless in-ear buds on display, as well as some neck-anchored wireless headphones. Expect to hear more about both of them later this year, but for now, Sony is showcasing two different colors for each prototype, as well as charging cases for the in-ear buds. There's no price or release date, but they look small and unassuming. Suffice to say, too, they're likely to be another notable wireless-bud option at a time when there's not much competition. 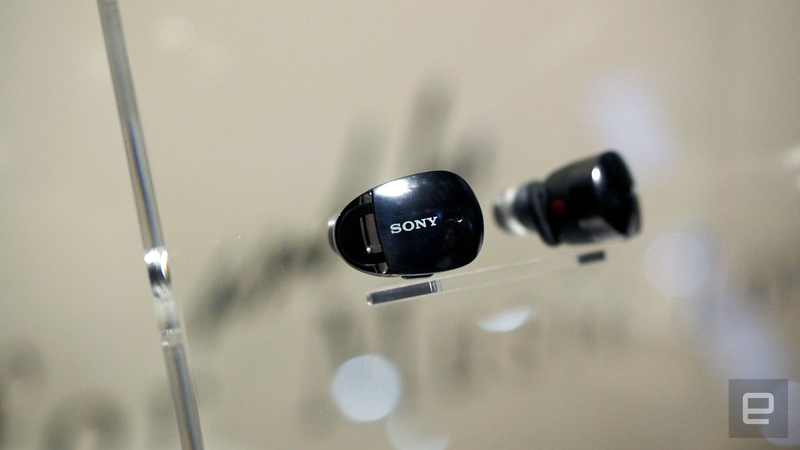 After all, even Sony's own Xperia Ear didn't quite seal the deal.